Greg Grant has travelled to many places around the world, absorbing the atmosphere of different cities and different cultures into his music. Not to say that Grant plays world music; it definitely falls into the realm of jazz, but with hints and flavours of the places Grant has travelled. Bisbe Street focuses on his 3-year stay in Barcelona, and combines the worldly cosmopolitan feel of the streets of that city with Dave Brubeck influenced compositions and a plaintive, fiery, emotional approach to playing his alto sax. This is easy to listen to, but it's far from so-called "smooth jazz", with it's stripped down instrumentation (along with Grant on alto sax is Guido Perla on drums and James Whiton on bass) and creative approach. The album kicks off in fine fashion with the jaunty Mil Cositas (which means something like "a thousand small things"), a fun romp in the tradition of Brubeck's classic Take Five. While there's honestly not much here for space and psych fans, Grant does delve occasionally into things a little freakier like the sliding, funky Silver Duck, with its cool wah-wah'd bass, and the almost spacy, Hammond organ drone of The Calling. Much of the album, though, stays traditional while still being inventive and engaging, with tracks like the soulful and melancholy When it Falls, the minimalist drums and sax of The Loneliest Immortal, and the lazy and affecting dance of the title track. I've never been to Barcelona, and if Greg Grant doesn't quite conjure up visions of a city I've never seen, his music lets me know what it feels like to have been there. I really enjoyed this album. 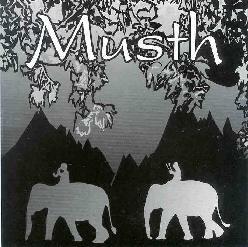 Verging more into experimental and challenging, though still quite accessible territory is another of Grant's projects, this one called Musth. On Musth, Grant takes us on the backs of elephants into the heart of the Middle East and India. He chooses, however, to create his sound not on exotic eastern instruments, but with clever interpretations of Eastern sounds on his alto sax, similar to what Tony Scott did with his clarinet back in the late 60's on his classics Music for Zen Meditation and Music for Yoga Meditation. On this album, Grant also plays nylon stringed guitar and is joined by percussionist Jonathan Bernson. 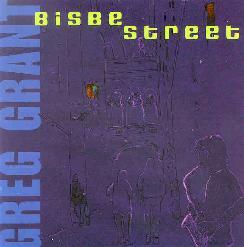 There's less of a reliance on melody and structure here than there was on Bisbe Street, with more interest here in texture and soundscapes, showing Grant to be a player of both talent and versatility. And if the music is particularly evocative, so are the titles of the tracks, such as Midnight Caravan, Cursed by Gypsies, Darquitar (Seven Claws), Salt in the Wind, and Walking the Dunes, to name a few. There are 14 tracks in all, most of them shorter studies in sound, all improvised, but they work together as a whole to create their exotic and intoxicating atmosphere. In fact, the word Musth, according to the liner notes, is a word of Persian origin, now used in the language of Northern India, and it means "a state of intoxication". A very appropriate title for this project. Even though Bisbe Street and Musth are very different sounding albums, Grant does display a style on the alto sax that is definitely his own, and it can be heard throughout both of these excellent releases from Altered State Records. For more information you can visit Greg Grant at the Altered State Records web site at: http://www.alteredstaterecords.com. Contact via snail mail c/o Altered State Records; PO Box 191; Fortine, MT 59918.